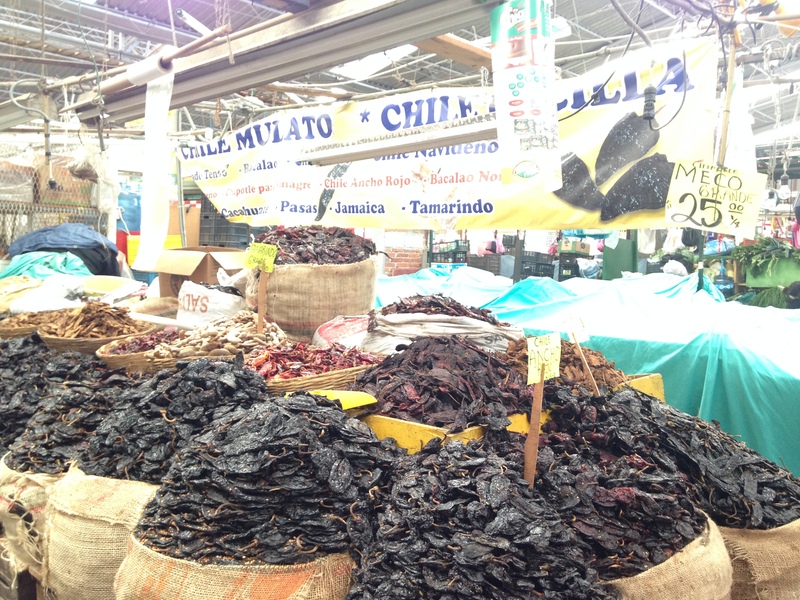 Dried chile heaven at the Cinco de Mayo market in Puebla. 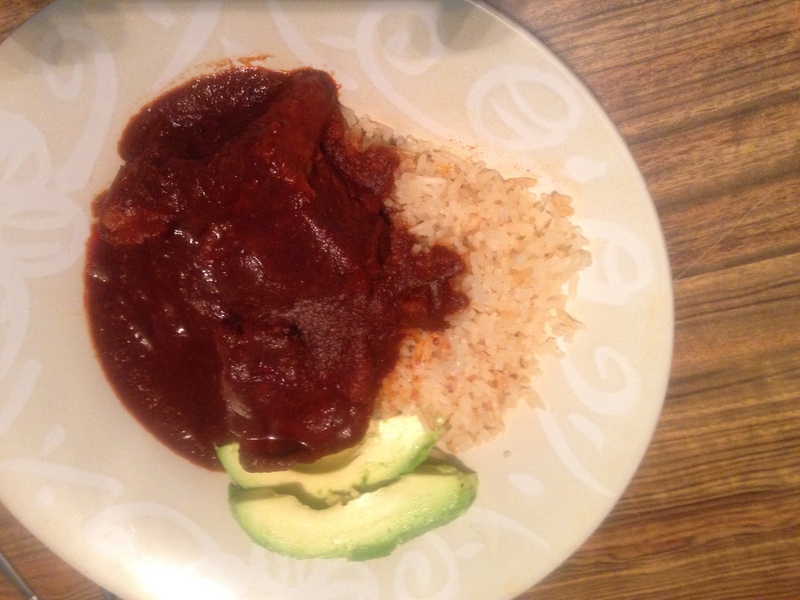 Chiles are the foundation of many dishes including the adobo. By the time I got to my dear friends home in Puebla, I was ready to start cooking. So we threw a party. What better way to get feedback on your creations? It was also a wonderful opportunity to hear the stories of food, family, and community that every person formed from this culture seems to hold. And this was my excuse to explore the Adobo and the markets. 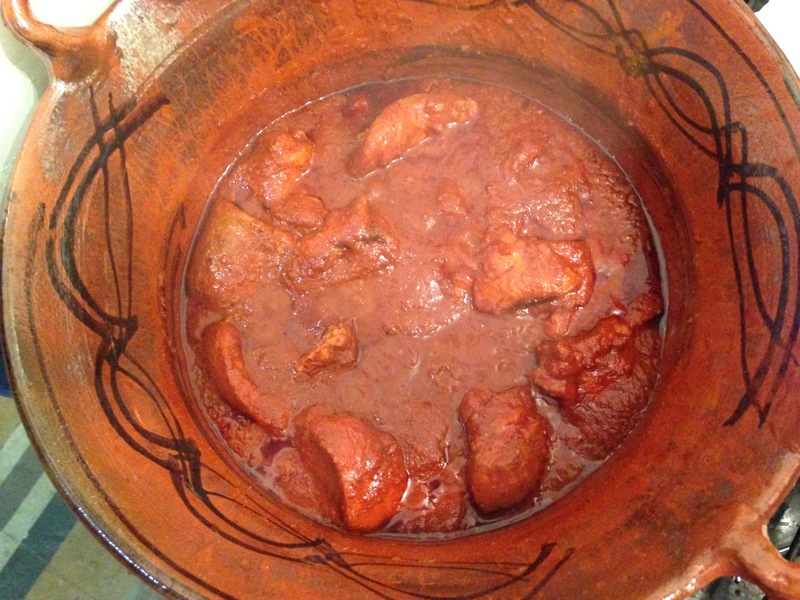 An Adobo is one of the fundamental types of sauces in Mexican cuisine. It varies greatly in flavour, colour, and thickness, but the basic structure of the dish is made up of dried chiles (a combination or selection of Guajillo, Ancho, Pasilla), tomatoes, spices, and vinegar. In this sauce the meat (or tofu/beans/lentils if you prefer) is marinated and then cooked long and slow. Traditionally, adobos are cooked in a cazuela, which is a clay pot said to improve the flavour as it retains sazón over the years. Pork and chicken are the most common meats to find in this dish. It is common to serve the dish with finely chopped onions and lime and accompany it with rice, beans (refried or whole) and of course tortillas. 1. The flavour before and after cooking the adobo changes a lot! The bitterness of the chiles will transform into a deep flavour that is cut by the vinegar and the warmth of the meat cooked in the sauce. 2. Use meat with bones on it. Incase you didn’t know, these have huge amounts of flavour and nutrition to add to your dish. Also use real pig lard if you can; real flavour, real nutrition. Watch for my coming rant on why we should be eating more pig lard and less processed oil and ugh margarine. 3. Add your final salting at the end….cause otherwise, ouch the reduction of the sauce can leave you with a super salty dish. 4. Processing the dried chiles is the bedrock talent of this dish. If you burn them…start over. Adobo in the style number 2. It tastes far better then my photo might indicate. 1. In a large pot add the meat, onion, garlic, water, salt and bring to a soft boil to make a stock. Continue to cook until the meat is soft (an hour or so). 2. Process the chiles, but add the chiles to the stock for its last 10 minutes to soften. 3. Separate out the meat and chiles and strain the stock. 4. Roast the tomatoes, onion, and garlic. If you have a gas stove just roast the tomatoes over direct flame and the garlic in a dry pan. If not you can do it in the oven (cover the tomatoes and garlic in a touch of oil). Don’t worry about peeling…your going to liquify and strain anyways. 5. Liquify the roasted tomatoes, onion, garlic. Strain. 6. Separately, liquify the chiles. Add stock as needed. The sauce should be thick but be strained with encouragement. Strain. 7. In a dry pan, dry roast the cumin, pepper, and clove. The idea is that the pan is on a high medium heat, you add the seeds and keep them moving by shaking the pan. Cook for about 30 seconds and remove from the pan right away. Turn them into powder in your preferred method. 8. Add the pig fat to the pot of choice (deep with thick bottom are important features) on medium heat. Add the liquified and strained chile sauce. Reduce heat and let bubble for 15 minutes. 9. Add the tomato sauce, the spices. Cook until reduced a little. 10. Add the meat, wine, vinegar, and 3 cups of the stock. Put a cover on that lets out a little steam. Either cook on a low flame for 2.5 hours or in the oven for an hour on low. 11. Add the final salting at the end.